“Don’t it always seem to go that you don’t know what you’ve got till it’s gone?” That Joni Mitchell was onto something, as we sadly found out recently when the government shutdown resulted in the closing of our beloved national parks. While luckily the government didn’t pave paradise or put up a parking lot (and the parks are now reopened), the experience inspired us to seek out the best state park alternatives to popular national parks. Hopefully government shutdowns don’t become a common occurrence, but it’s good to be prepared! Plus, with heavy traffic, big crowds, and frequently-full campgrounds and parking lots sometimes hampering enjoyment of the country’s most visited national parks, it never hurts to keep these lesser known state park alternatives to popular national parks in mind. 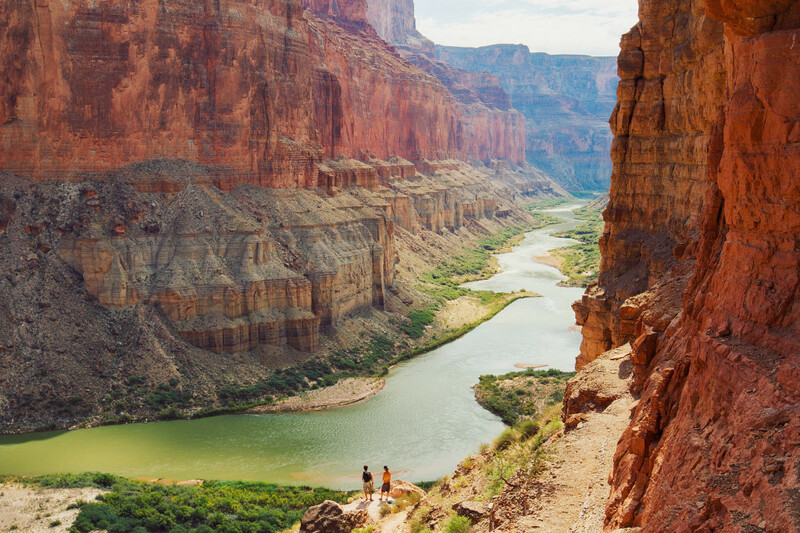 Whether you’re hoping to avoid the crowds, enjoy some wide open natural beauty, or simply discover a new hidden gem to visit when your favorite national park isn’t an option, we’ve found the best state park alternatives to popular national parks that are just waiting to be explored. Instead of Great Smoky Mountains National Park…. There’s no denying the breathtaking beauty of the fog-blanketed mountain landscape at Great Smoky Mountains National Park. Few people know, however, that a similarly stunning mountain destination is nestled a bit further south along North Carolina’s Blue Ridge Parkway. The park’s highlight and namesake is a 600-foot granite dome called Stone Mountain. Lush meadow grasses blow at its base, while the mountain’s deep forests are home to an abundance of white-tailed deer that can often be seen grazing at the park. In addition to beautiful natural scenery, the park contains more than 20 miles of designated trout waters, making it an exceptional fly-fishing destination. Adventurous visitors can enjoy rock climbing on the mountain. Hikers will appreciate its more than 16 miles of trails, and first-rate campgrounds welcome visitors to stay a while. This National Natural Landmark offers vast mountain beauty, endless outdoor opportunities, and a perfect alternative to the more popular Great Smoky Mountains National Park. 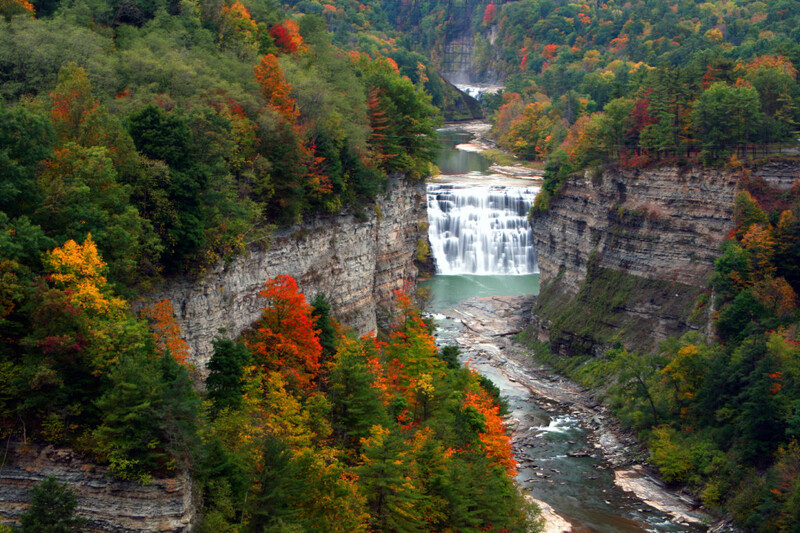 Letchworth State Park isn’t called “The Grand Canyon of the East” for nothing! The roaring Genesee River travels through this scenic gorge, where three major waterfalls flow between towering cliffs. Thick forests surround the park, making this area one of the East’s biggest treats for the eyes. Of course, the park is more than just a pretty landscape. Sixty-six miles of hiking trails weave through the park, with additional trails welcoming bikers, equestrians, snowmobilers and cross-country skiers. Visitors can mix education with recreation with the park’s top-notch history, nature, and performing arts programs, guided tours and walks, or summer lectures. Adventure seekers can enjoy kayaking, whitewater rafting, or even a hot hair balloon ride across the park. The park would not be complete without camping facilities, but fret not, it has those in droves too! If you’re looking to experience some natural canyon beauty, this East Coast option is every bit as appealing as the real deal in Arizona. 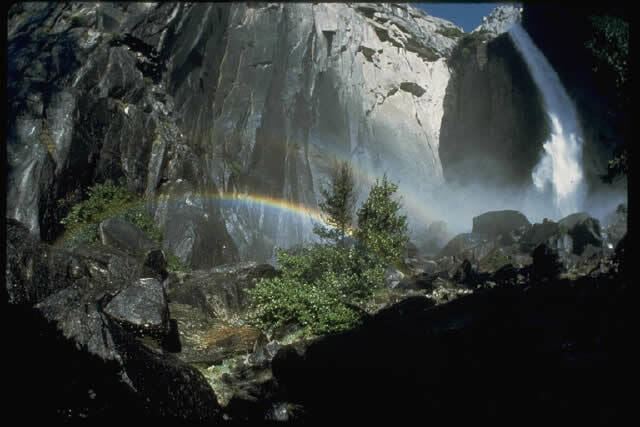 Yosemite National Park is known for its rugged, waterfall-dotted wilderness. However, similar scenes can be found hundreds of miles east at Georgia’s Tallulah Gorge State Park. Breathtaking views seemingly await at every turn at the park, which is home to one of the most famed canyons in the eastern United States. 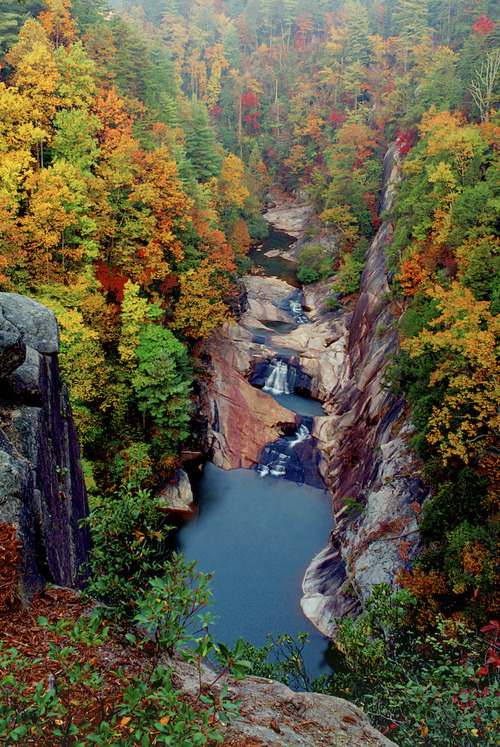 Two miles long and almost 1,000 feet deep, Tallulah Gorge offers postcard-perfect natural beauty. Numerous overlooks can be found along the park’s miles of hiking trails, but the swaying suspension bridge that stretches 80 feet above the gorge perhaps offers the best views of the waterfalls and river. A paved trail winds alongside an old railroad bed, welcoming bikers and hikers. A more difficult, 10-mile trail provides additional mountain biking opportunities. The park’s interpretive center contains exhibits and films that bring the colorful history and unique ecosystem of the area to life. You don’t have to head to California to appreciate the gorgeous, Yosemite-like beauty that can be enjoyed at Tallulah Gorge State Park!